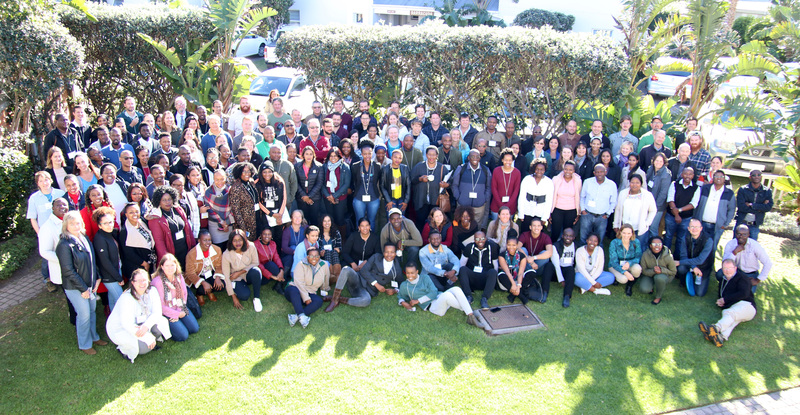 SANBI hosted the 15th annual Biodiversity Planning Forum at Cape St Francis Resort, Eastern Cape from the 19 – 22 June 2018. There was a key focus on the National Biodiversity Assessment (NBA) 2018. This was introduced by a panel discussion highlighting the achievements on the journey to the NBA 2018 (which will be published in 2019). A number of the sessions at the Forum dealt with the technical aspects of the NBA across the different realms including terrestrial, inland aquatic, estuarine, marine and coastal. The sessions on systematic biodiversity assessment and planning in Africa focused on the increasing collaboration across the continent to ensure that mobilised biodiversity data is useful for policy and decision-making, especially through the application of spatial biodiversity planning processes. The Forum also provided an opportunity to look at how biodiversity is integrated into land-use planning and environmental management. There was a focused session on the biodiversity protocols that have been developed to inform assessments required by the EIA Screening Tool, an online map-based platform developed by the Department of Environmental Affairs which enables users to generate a screening report as part of the environmental authorisation process. Please click here for the 2018 Biodiversity Planning Forum programme.